Provenance: Private Belgian collection. Bought through a lawyer from Brussels. 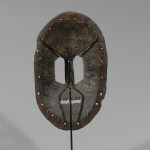 This face mask features human traits with oval holes for eyes, a aquiline nose, an open mouth filled with teeth. 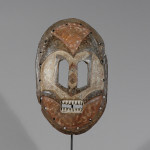 The surface of this mask seems to have been painted several times using multiple colors. Traces of Red, white and black colors can still be seen. It seems also that the surface was covered with dotted pattern. 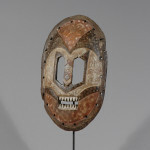 The origin of this mask is not known. 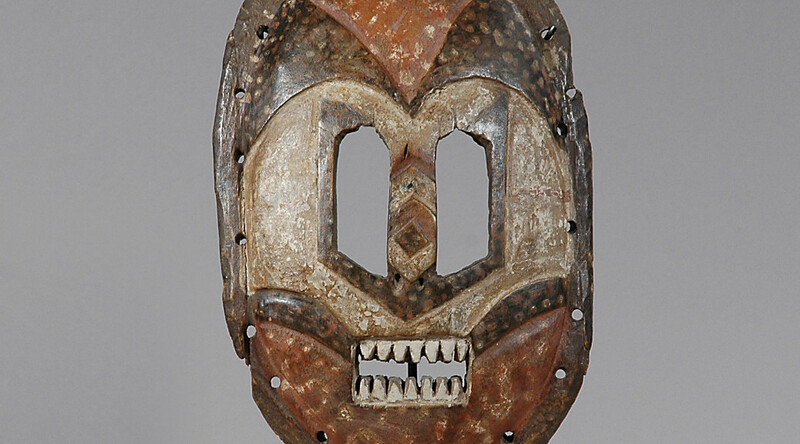 Its shape and the treatment of the facial features make its attributions to some ethnic groups in Ituri in the rainforest region of the northeastern part of the Democratic Republic of Congo where masks with a dot pattern or a leopard skin design were observed. Its function remains as mystery as its origin. 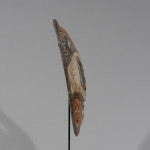 Tanzanian tribal art is less researched and published than Western and Central art.